Dr. David Bellar, Director of the School of Kinesiology, and Jason Soileau M.S., CSCS, from the University of Louisiana at Lafayette, conducted a double-blind, placebo controlled, crossover study with 16 active males that assessed the total effects of Extreme Endurance during exercise. Their findings? An astounding 26% Reduction in Lactic Acid, 39% Reduction in Oxidative Stress and a 6x lowering of Creatine Kinase Levels. More details can be found by reading their study published in the Journal of Athletic Enhancement listed below. Here is a summary of their findings: The Effects of 10 Days of Extreme Endurance on Performance, Buffering Capacity during Exercise and Post Exercise Muscle Damage, Oxidative Stress and Inflammation. After a 7-day supplementation period on Extreme Endurance, a decrease by an average of 16.9% (33.1 U/I) in CK levels pre-workout and a 63.55% (32.6 U/I) decrease in CK levels after completing Fran were recorded. In addition, none of the athletes who participated recorded CK levels that would indicate the onset of Rhabdo. 29 of 31 athletes performed better in the second workout with an average of 8.55% or 32 seconds faster. A clearly recognizable lowering of beginning CK levels were evident before the second workout. As noted, the results showed a lower entry of 16.9% or 33.1 U/I. After completing the second workout, the data showed additional reduction of CK levels of 63.55% or 32.6 U/I. And 29 of 31 athletes performed better in the second workout with an average of 8.55% or 32 seconds faster, all 31 athletes reported a quicker recovery and less muscle soreness. Summary: By looking at the results from this open label test, it can be concluded that Extreme Endurance is affective in decreasing muscle trauma and decreasing recovery time as indicated by lower CK levels. 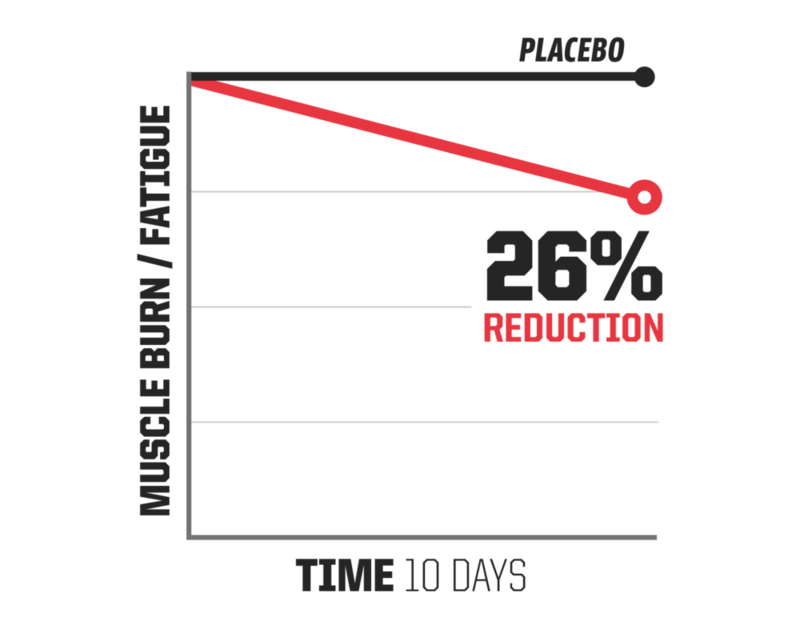 This means less cell damage, safer training, and a quicker recovery and allows more training load in both short and long term. In 2013, Jürgen would put Extreme Endurance to the test again, but this time on functional fitness athletes in the U.S. Eleven experienced athletes, ages ranging from 22-26, underwent the “Fran” stress test at East Valley CrossFit in Chandler, AZ, a controlled environment under observation with movement standards. Blood samples were taken from each athlete immediately before, after, and 10 minutes following a baseline test. Each athlete was then prescribed a 7-Day Trial of Extreme Endurance. After a weeks supplementation, the stress test was repeated and athletes demonstrated an average improvement of 6.2%, or 22 seconds in their “Fran” time. Blood tests conducted immediately after revealed usage of Extreme Endurance reduced lactate levels by 8.9% immediately post workout and 7.1% 10 minutes post workout when compared to blood samples taken at baseline. Jürgen Sessner, lead researcher and owner of Corpus Diagnostik, was so fascinated by the results in 2007 that he requested a 30 Day Trial be conducted with 6 pro-triathletes. The 10 year veteran strength and conditioning coach from the German Bundesliga found that with longer use of Extreme Endurance, there was continued improvement and an increase in VO2 Max and power output. The clinical results of our double-blind study were presented at the 6th Annual European Nutraceutical Convention in Vienna, Austria, March 13, 2010 and are published in the Clinical Journal of the European Society for Clinical Nutrition and Metabolism, (Vol. 5, Supplement 1, 2010). Our flagship product, Extreme Endurance, is the only supplement in the world that has a gold-standard, third party, double-blind, placebo-controlled, crossover study – that has been published. While other companies pay a third party to conduct studies with skewed results, we hired one to conduct their research without any knowledge of our company brand or identity. The results? An off the charts 15% reduction in lactic acid and a double digit increase in aerobic threshold.